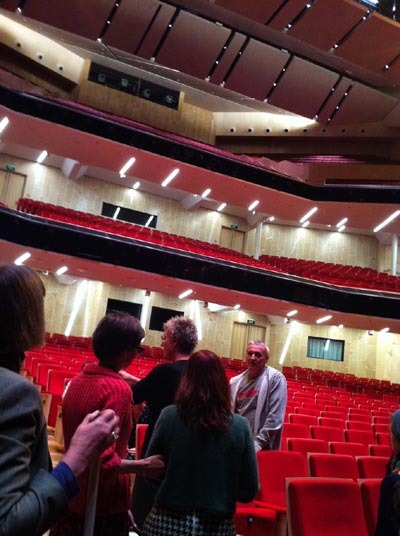 I attended the recent arts advocacy workshop at the Aotea Centre in Auckland where we had the chance to look at how THE EDGE caters for people with disabilities. It was the third workshop provided by Arts Access Aotearoa and brought together people with disabilities to be trained as arts advocates so they can rock the boat and create social change that will improve everyone’s lives – not just the lives of people with disabilities. The focus of looking at what THE EDGE provides was the audio description technology, which has audio translation to help make attending a performance more accessible for people who are blind or vision impaired. The audio description service is provided through an ear piece. As I was learning about this technology, I couldn’t help but wonder how it could be applied to other situations. A month earlier, the second workshop had been held at Auckland War Memorial Museum and there had been discussion on how to make the exhibits more accessible to people who had difficulty viewing the museum collections. Audio descriptions would bring the exhibits to life. There are 13 of us participating in this arts advocacy programme, each with a unique experience of disability. Coming together and sharing our knowledge has provided us with a powerful base to continue the advocacy that we all do in our lives – not only in the arts. By sharing our experience in the context of the arts, we have quickly worked out that there is no single solution to improving access to the arts. The discussions on advocacy occur towards the end of the workshop sessions and often the conversations are so meaningful that we’re not quite ready to end them and go home. The newly refurbished ASB Theatre in the Aotea Centre has great sound technology and hearing loops. However, the first thing I noticed on our tour was the four steps in between the rows of seats. It looked as though people in wheelchairs or with walkers were relegated to the back of the theatre. This would have provided minimum access but our tour guide told us that the theatre wanted to do much better than minimum requirements and not be limited by council codes. He showed us a chair lift that allows wheelchair access through a side door to a ramp that then takes you down to removable seats in the front few rows. I guess one of the problems is with the architecture of the Aotea Centre. But despite my critique, I actually like the different levels connected with staircases within the Aotea Centre. Its architecture gives it character. Sometimes, I think that physical access to venues was easier in the past; that strict building regulations and codes can remove the common sense. Or maybe my walking was better back then. But I do think society has become so focussed on health and safety that we’ve forgotten the practical approach. The slope in the ASB Theatre had to be at a particular angle to satisfy council regulations and yet a slightly steeper slope would have allowed easier access to the theatre. Years ago, they probably would have built a ramp in between the seating – but then, there wouldn’t have been the same awareness that we have today. 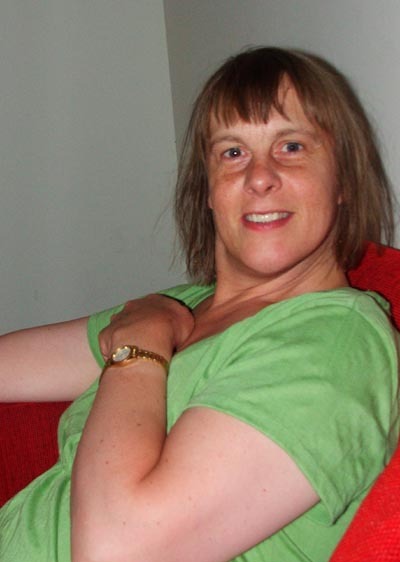 Allyson Hamblett is an artist and works at Spark Centre of Creative Development as its Website and Online Co-ordinator. Original generation time 1.5211 seconds. Cache Loaded in: 0.0441 seconds.